Search Results for "bristlecone pine"
1960s: Man looks through miscroscope at tree rings, moves pointer across rings. Man writes on paper. 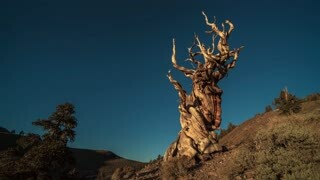 Rings of bristlecone pine tree. 1960s: Man walks around bristlecone pine tree. Man walks into building. Man sits at microscope. Pine cones hang from ancient bristlecone trees in the White Mountains of California. 1960s: Bristlecone pine trees. Gymnosperm fossils. Conifer trees. Tilt up to old bristle cone pine trees growing in the White Mountains of California.